Disclosure: I participated in an Influencer Activation on behalf of Influence Central for Oshkosh B'Gosh. I received a promotional item to thank me for my participation. So while technically it may be spring, we've only had a few moments of it thus far this season... and Easter has already come and gone! We're trying not to get too down in the dumps about it around here, especially since we just escaped to Georgia for a few days where the temperature was pleasantly in the 70s most days. And because we KNOW it will eventually warm up! It will, right? 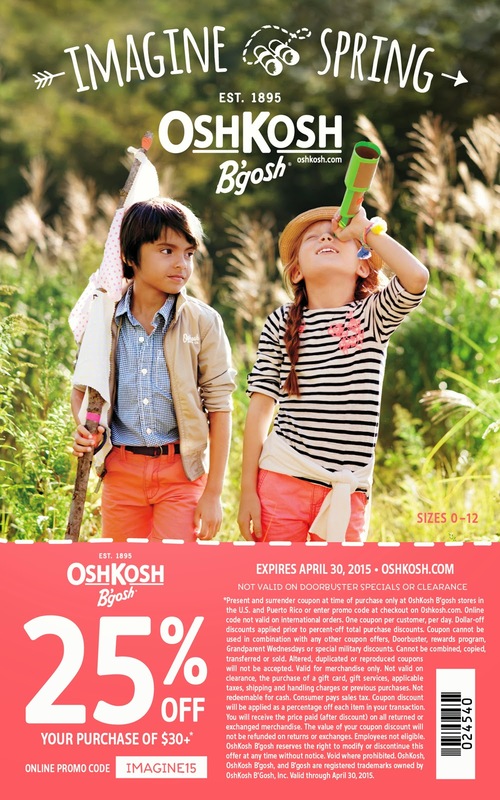 With that said, spring shopping is a must, and we've partnered with OshKosh B'Gosh to highlight some of their selections for the season. At ages 5 & 3, the girls are really starting to have an opinion on what kind of clothes they like, which can be both humorous and frustrating. Luckily, Oshkosh B'Gosh meets all of their requirements: Lots of colorful pastel colors, especially pink. Check! Comfortable material that isn't scratchy or irritating to the skin. Check! And I should mention the brand meets my qualifications on quality and affordability, too. Comfortable play clothes that are stylish yet classic can be hard to find, but Oshkosh B'Gosh really symbolizes all of these things for us. As a result, we'll be coming back again (especially with coupons like the one at the bottom of this post)! Known traditionally for their iconic all-American denim, there's a lot more to this company than overalls. Throwing on a little Taylor Swift, the girls had a mini photo shoot with some of their new clothes for spring. Wish I'd taken video!